A Chair Massage is a massage in which you sit leaning forward into a massage chair with your face nestled in a face cradle while a therapist massages your neck, back and arms. Lasting only between 5, 10 or 20 minutes, chair massages are a great solution if you have limited time but still need to reduce muscle tension, tightness and pain. 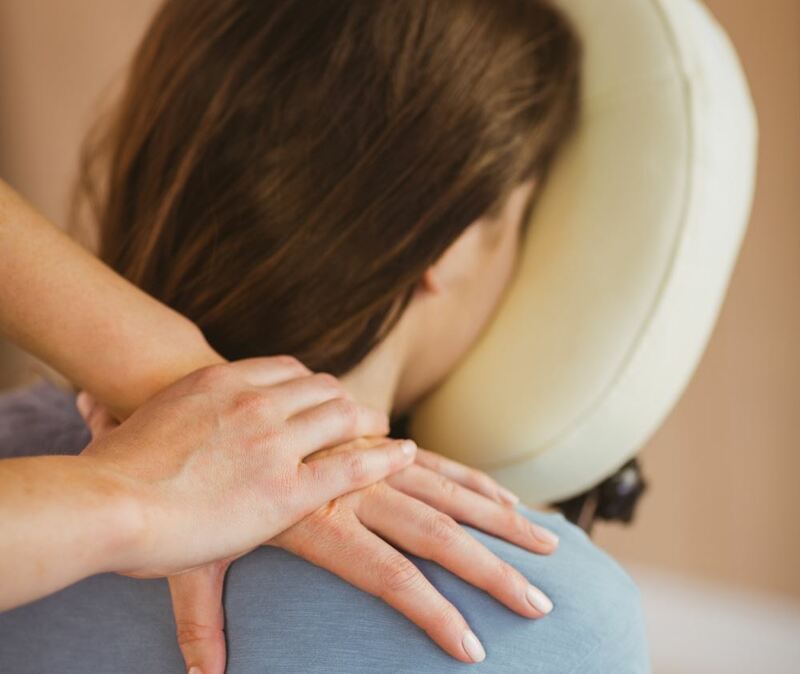 Chair massages are also a perfect solution for employers who would like to offer their staff a relaxing break option that will help them feel energized, rejuvenated, valued and relaxed. Great for your next corporate or group event! *Please note – these are quick massages (as brief as 5 minutes, or as long as 20 minutes) but they still need to be scheduled! Please contact me to schedule and book your next corporate or group event, or use the button above to schedule your individual chair massage session.